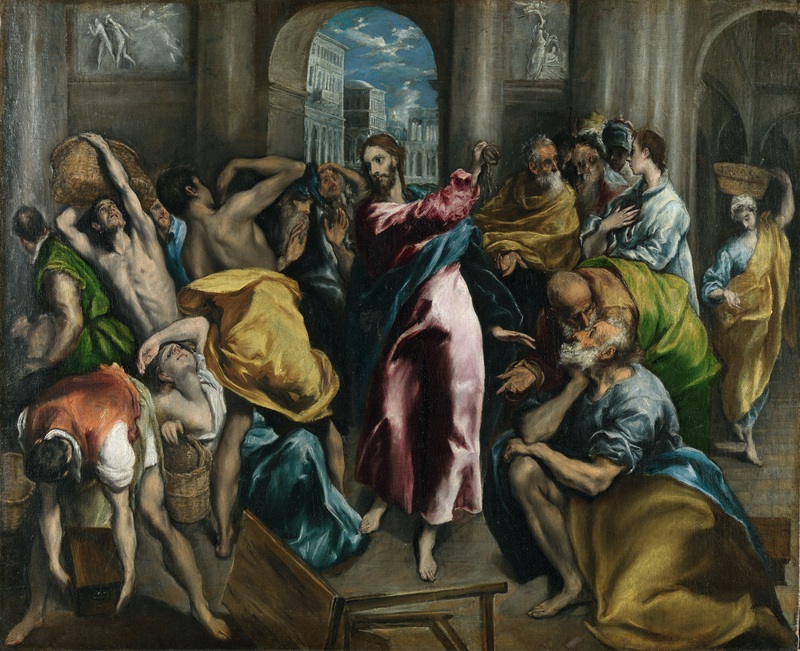 This entry was posted in Art, Bible and tagged art history, Bible, Christian, El Greco, Jesus, Money changers, National Gallery, scripture. This painting has strong memories from my childhood, though I am not sure why… maybe one of my mother’s art books (or illustrated Bible books) contained it. Nonetheless, often when we visit the National Gallery of Art (just there last Sunday, though strolling through Dutch paintings), we visit the El Greco room. When I wrote my series a year ago, on The Art of the Gospels, I included this painting to illustrate that story. 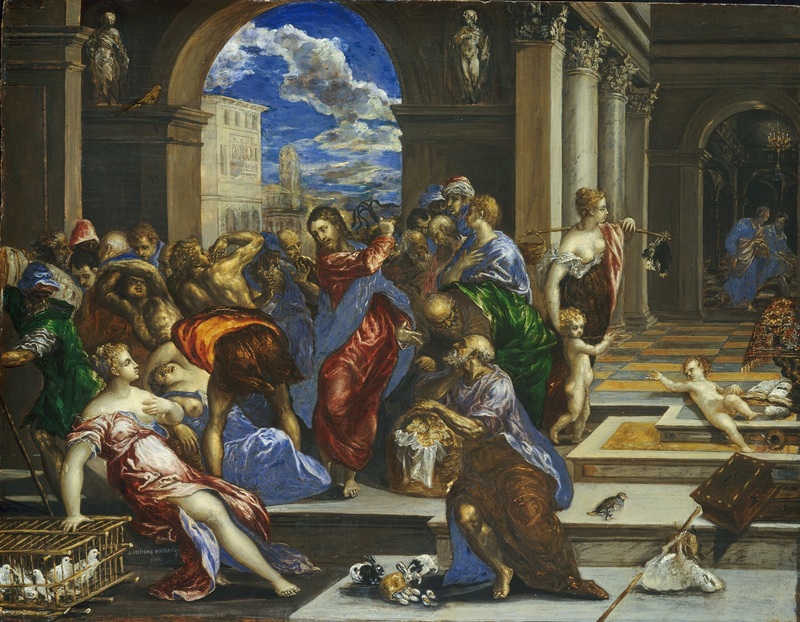 In reading the NGA’s commentary (yes, I actually read those museum books for the fun of it), I was impressed with all the symbolism that El Greco included. Each bird, child, oyster, etc. represented something.